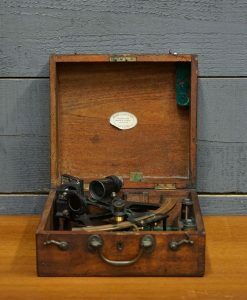 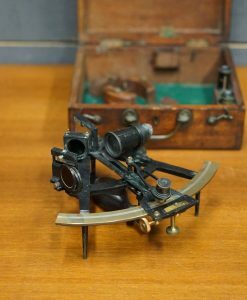 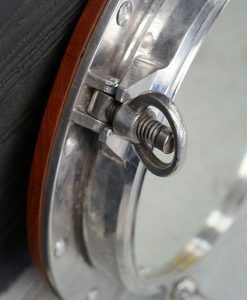 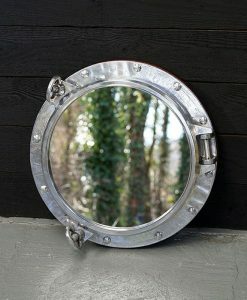 2 key opening reclaimed ships porthole. 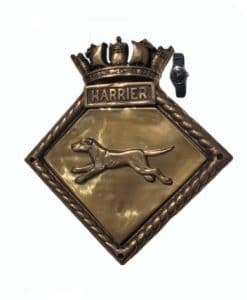 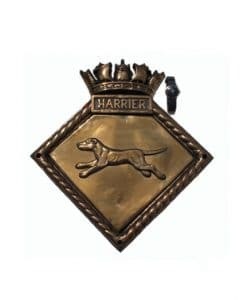 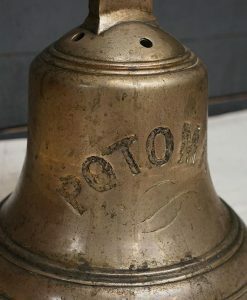 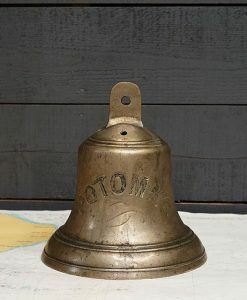 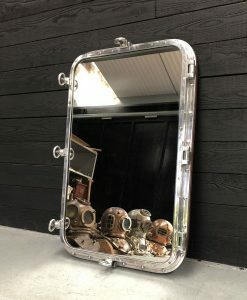 Superb quality home decor. 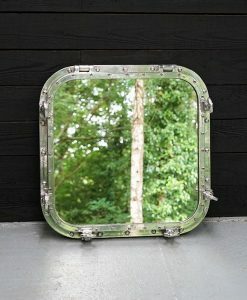 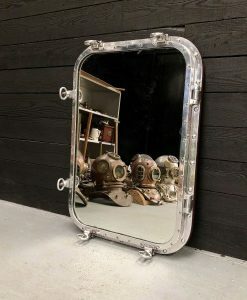 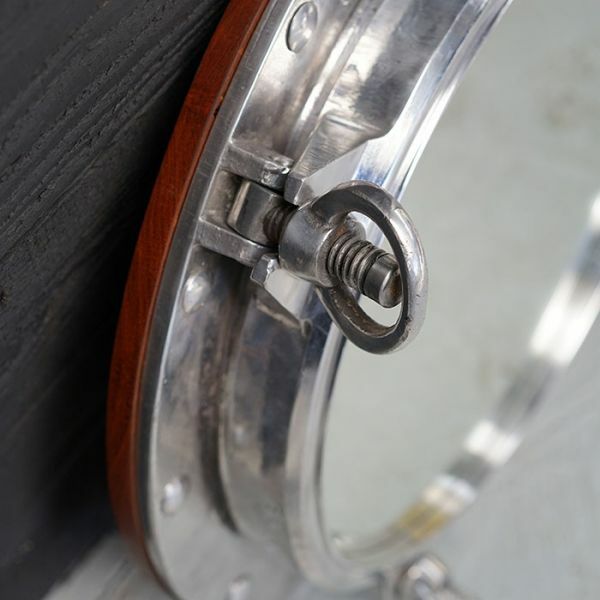 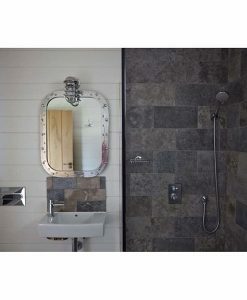 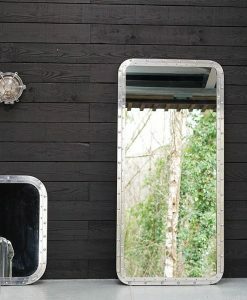 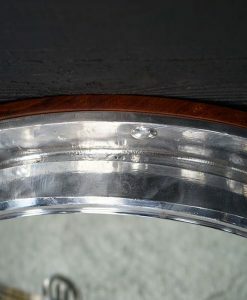 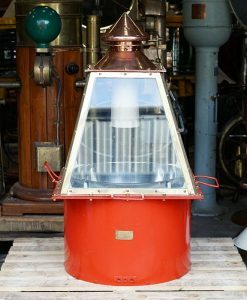 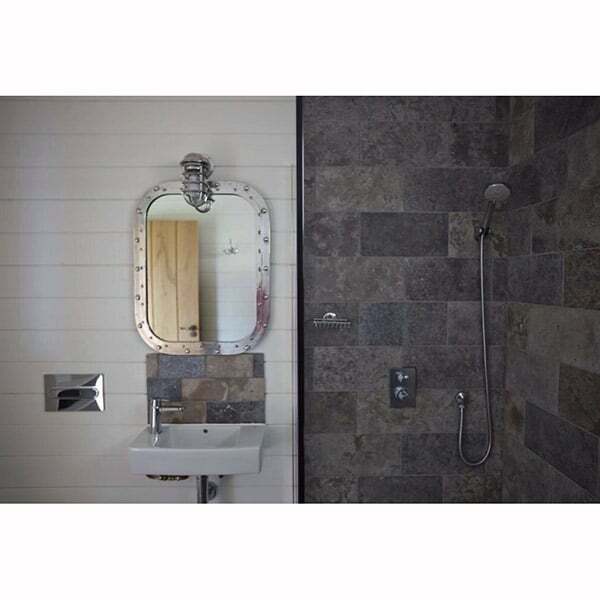 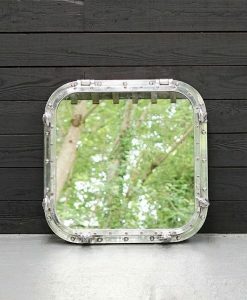 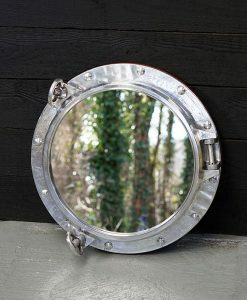 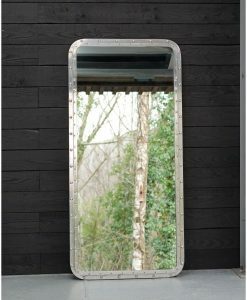 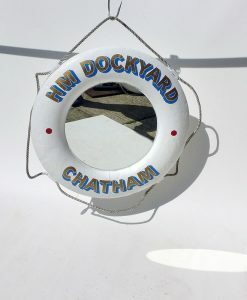 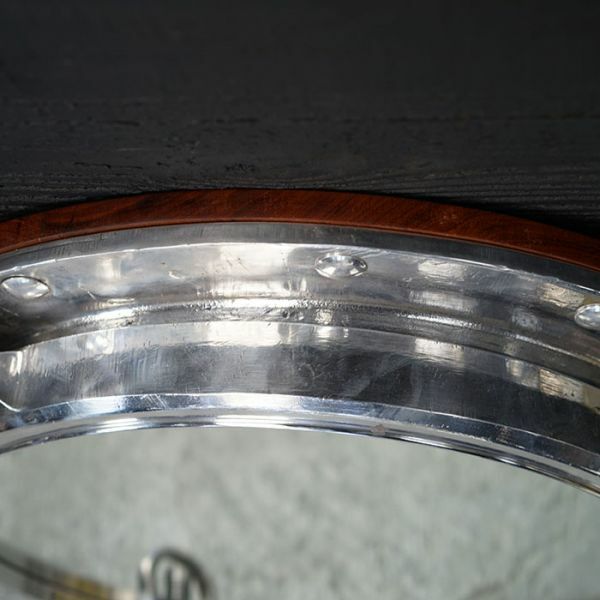 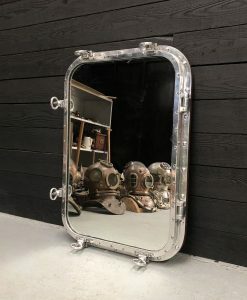 Aluminium ships portholes that we have up-cycled from the shipping industry over the years, expertly converted into an impressive mirror, an item that Captain Nemo himself would want in his Nautilus! 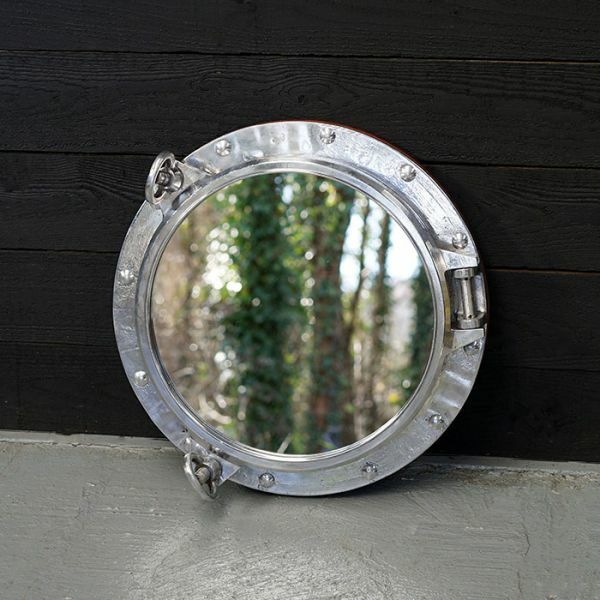 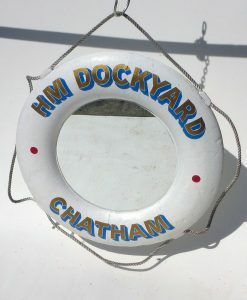 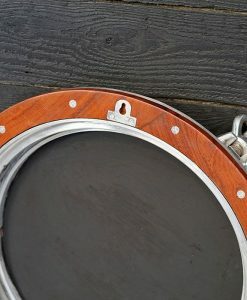 Superb quality original reclaimed ships salvage portholes , backed with teak and hanging slots. 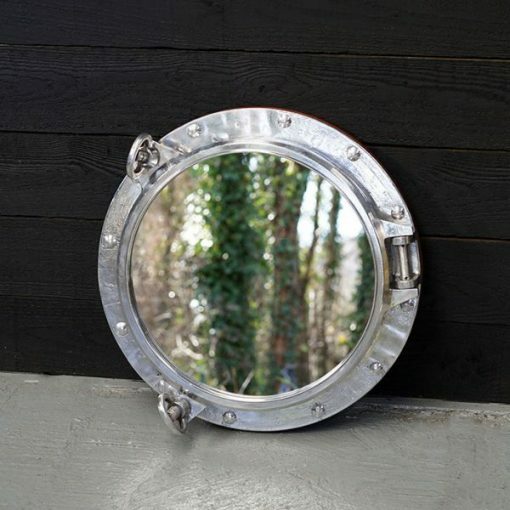 So much better than buying a flimsy expensive reproduction, these portholes have had a life at sea. 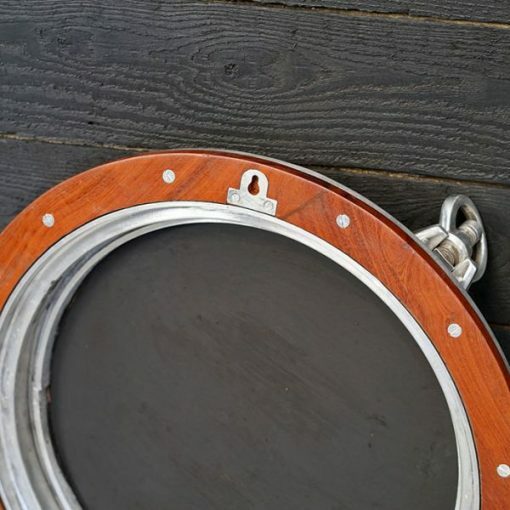 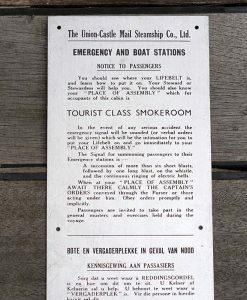 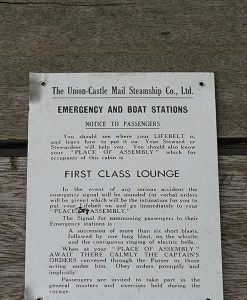 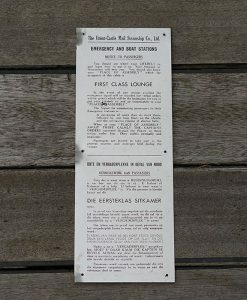 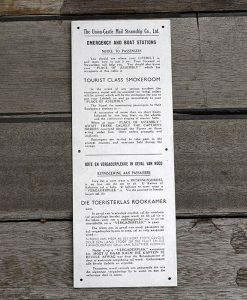 Back trim is the finest ships teak. 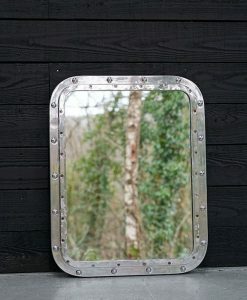 Wall fixing.